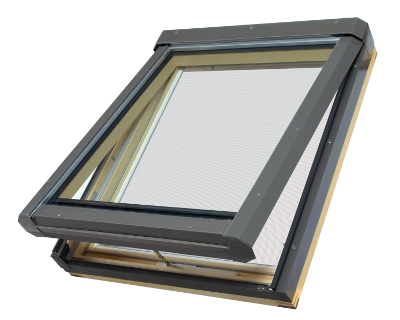 FV skylights tilt open to help circulate air through the home. An installed insect screen comes standard with each FV unit to protect from insects. Low emission heat reflecting double glazing glass. Easy, “bracket free” installation system. Class 3 corrosion resistant hinges. Double seals for better insulation between the sash and frame when skylight is closed. Insect screen comes as standard.